Here in the US it is the 4th of July, which we typically celebrate with BBQs and picnics with large groups of friends. Here's some menu options for when you plan your upcoming parties, whether they are for the 4th, or any time this summer. Watermelon soup and sparkling grape gazpacho are always summer favorites. 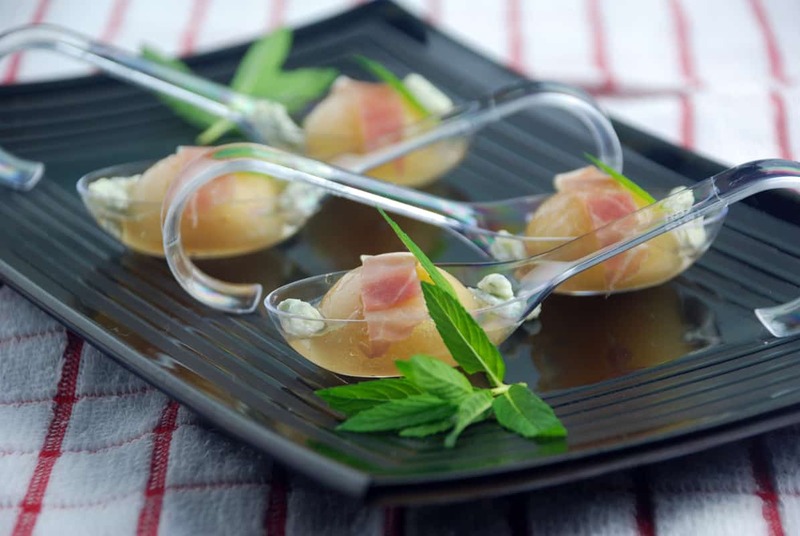 For a super-fancy appetizer, you can serve these melon soup spheres and blow your friends away. Another appetizer option is a fresh looking blueberry-strawberry-jicama salsa that can be served with chips or on fish or chicken. This pea pesto is also light and refreshing. If you are looking for sandwiches, hot dogs or burgers, there are lots of options. 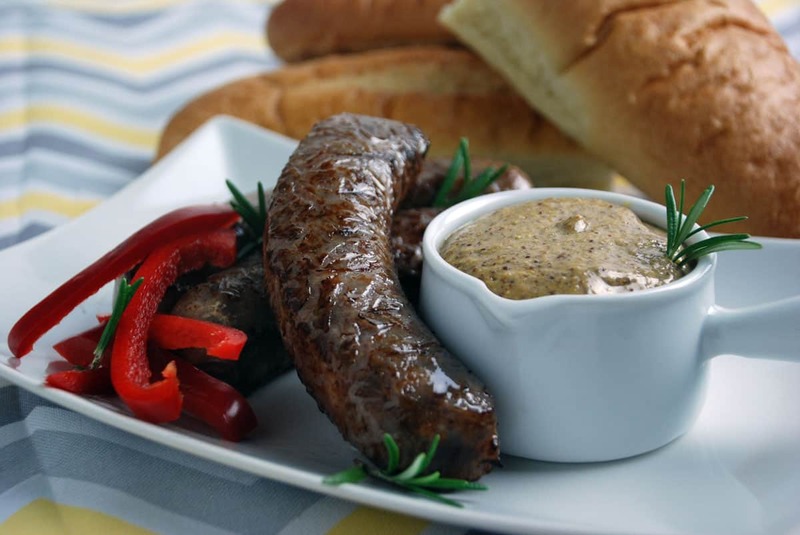 Sous vide beer braised brats are a great summertime BBQ dish. I really like them served with a strongly flavored Guinness mustard on a toasted bun with peppers and onions. Good Eats also offers 11 spruced up July 4th hot dog and sausage picnic options. Sous vide pulled pork sandwiches are perfect for any time of the year, but especially for a holiday picnic! Or for a little different and unique flavor this chuck-wagon barbecue beef sandwich incorporates brewed coffee into the sauce. This Italian sausage burger is topped with sautéed sweet onions & red bell peppers along with melted provolone and broccoli rabe! Sous vide can also be used to pre-cook your meats, then you can throw them on the grill at the last moment. 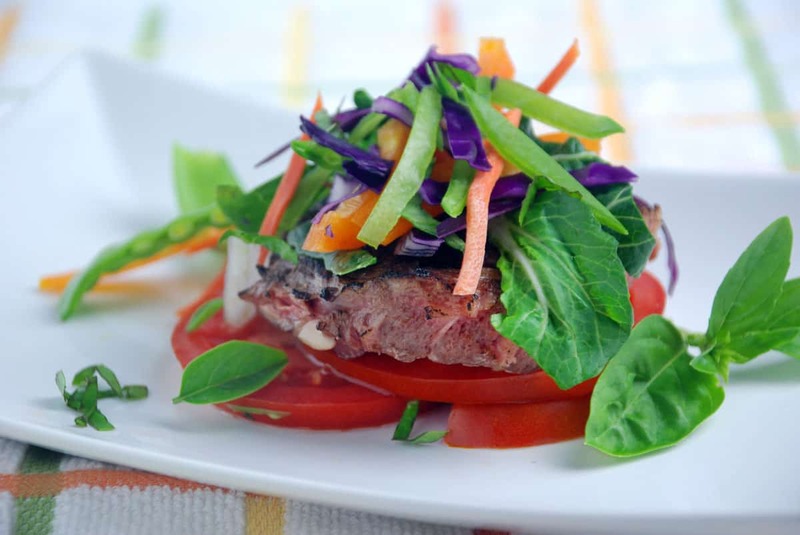 This not only results in perfectly cooked food but you don't have to worry about serving anyone undercooked food. This is true for hamburgers, steak, chicken, and pork. If you want to go for a more traditional BBQ meal, you can turn to sous vide ribs or brisket. Pressure cooker pulled pork is also an easy way to get shredded pork without tying up your grill. You can't forget the sides when you're outside cooking. 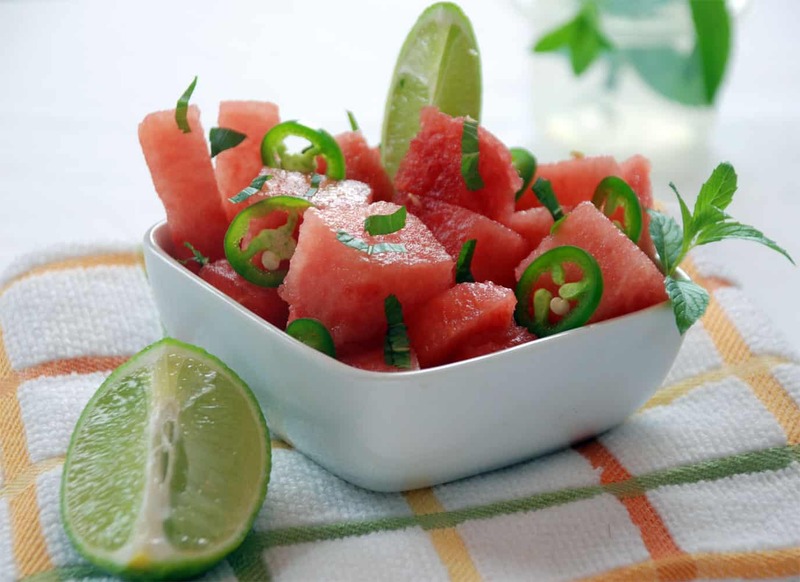 My carbonated watermelon salad is always a hit, especially on a hot summer day. If you don't have room on your grill you can always sous vide corn, making it simple and easy to prepare. I also really like the sous vide fennel confit with grilled meats. Lemonade is a classic picnic drink and you can turn it into a fancy dish with the addition of a little blueberry foam. And for the adults you can always add a splash of vodka or gin to the mix. For a colorful red, white and blue daiquiri you can check out the Food Network Firework Daiquiri. 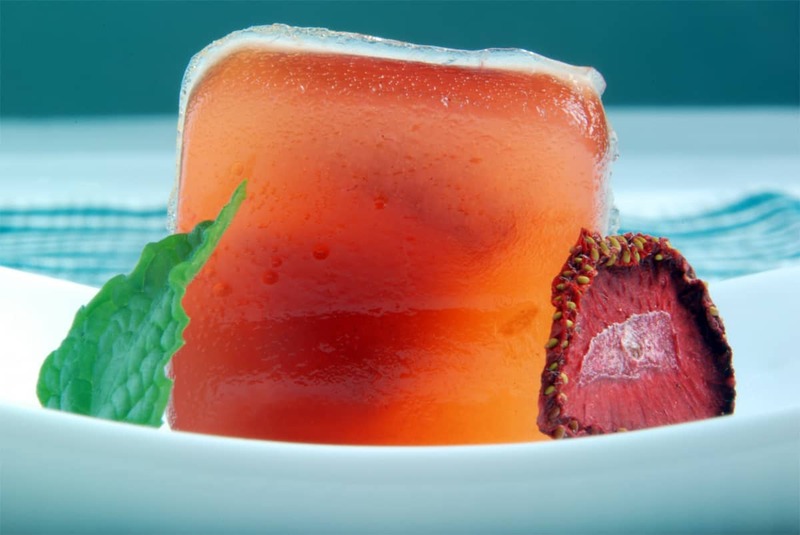 Or serve these fun cocktails that contain rum infused strawberries encased in a sweet but tart flavored daiquiri agar gel cube your guests will love them. Foamed fruit cosmos have a well-balanced combination of ingredients that results in a strong, but not too strong, drink that people with many tastes can enjoy. Want a failsafe method to temper chocolate for your 4th of July decorated treats? Use your sous vide machine for the ultimate temperature control over that tricky tempering process! What's more American than marshmallows, we all love the giant puffs of sugar! 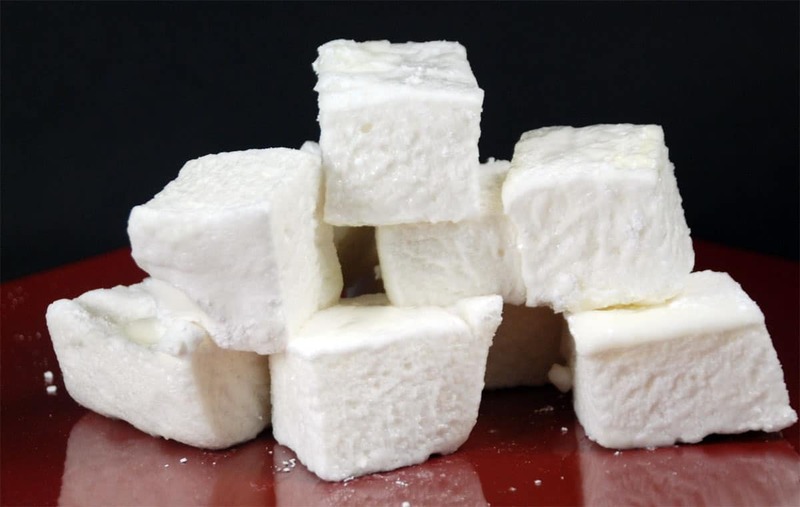 We have many different homemade marshmallow recipes for you to choose from.